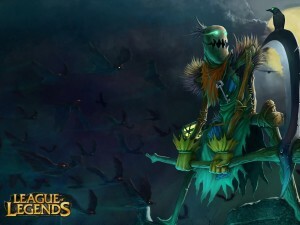 League of Legends: Is Fiddlesticks the New OP? The latest League of Legends Patch 6.9…hehe…brought along some big changes to mages who have taken the back seat to most of this and last season. Reworks have been abundant, and practically any and all old school champions who haven’t been updated to the new playstyle soon will be. 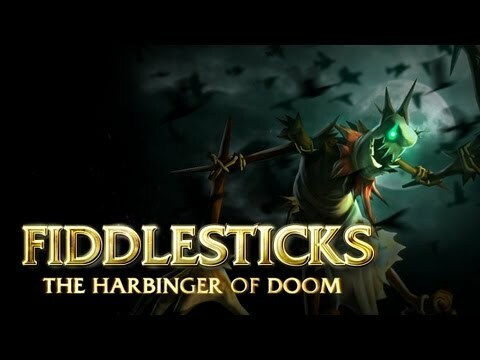 One of my all time favorite junglers got a minor update this patch and I have been seeing plat and challenger players praising Fiddlesticks for his new place in the god tier of junglers, however I see his position a little differently. He has a reworked Passive that grants him increased movement speed if he is stationary for 1.5 seconds, which increases with levels. His E also bounces 7 times instead of 5 and prioritizes whatever he has his Drain on. This make him a very viable jungler and makes him stickier so enemy champions can’t just walk away from him anymore. His Fear was also slightly nerfed by a range of 50 units, which isn’t too big. Don’t get me wrong I think Fidd is in a great place right now, especially since we haven’t seen much of him in ranked lately, I just don’t consider him god tier and here is why. There is currently a slew of champions with peel, disengages, and knockbacks that having been seeing some serious play time lately. Janna has held a very high spot lately as a top tier support and she her ultimate is basically an anit-Fidd ult machine. All she has to do is save it for the right moment and it’s another minute or so until Fidd will be making any huge game winning team fight plays. Xin Zhao has made his way back into the spotlight as well with a similar fashioned knockback ult to practically eliminate Fidd’s ult altogether. Champions like Bard, Taric, and Kindred all have their Invulnerability ults, so as you can see there are a decent amount of champs that can nullify even a well timed and placed Fiddlesticks ult. This season has brought upon an overabundance of wards. Wards are kind of Fidd’s biggest enemy. 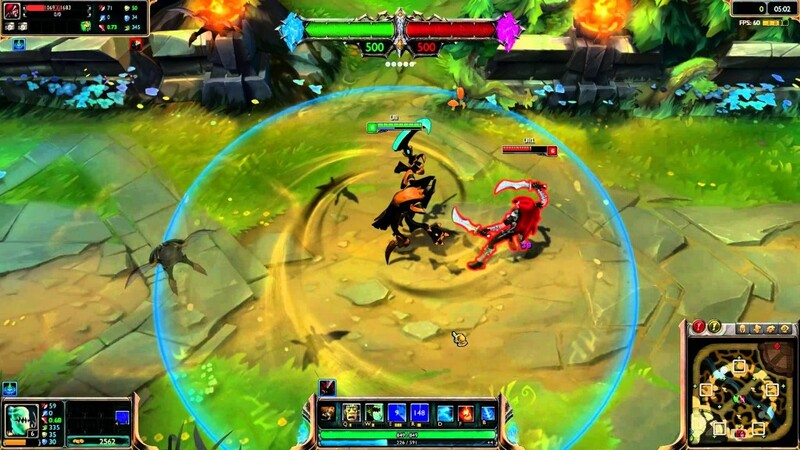 If the enemy team has constant vision on his location it completely eliminates his element of surprise cheese ult plays. People are getting access to 2 wards after a certain amount of time, there is even a jungle item giving you an extra 2 wards, and sightstone has been worked into support starter items. Warding and vision control still isn’t a huge deal in lower elo play, however, higher elo players should have mastered ward placements when playing against a Fiddlesticks. I love my haunting scarecrow, and I think he is definitely a great jungler, I just don’t think he should be getting all of the hype the pros have been giving him. Fidd is my go to mage jungler, and I will stick with him no matter how the meta changes, so I suggest give him a try and let me know how you feel in the comments.